The GRANDMOTHER of all battles! 15 of the FATAL FURY series' top stars gather in the match of the millenium! Use the resurrected Geese Howard and Wolfgang Krauser in a dazzling arena! All you have ever wanted in a fighting game is here in FATAL FURY SPECIAL! 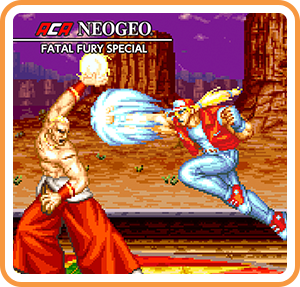 Where can I buy ACA NEOGEO FATAL FURY SPECIAL physical/digital?